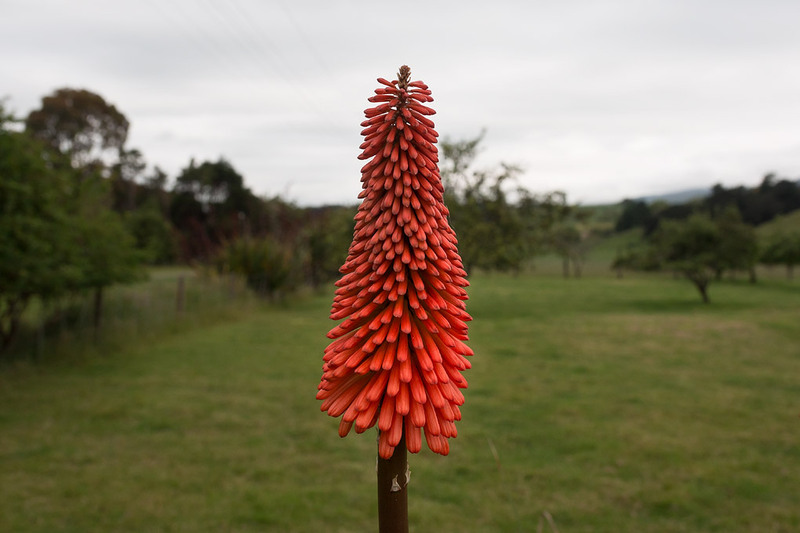 On a grey, mild evening, a red-hot poker seems like a small statement of joy. What an excellent Christmas card! EC — like a floral exclamation mark, I guess. RR — I suppose garden colour like this isn't common at the moment in your part of the world! You suppose wrong - there are still roses, penstemons and pelargoniums flowering here. There hasn't been a hard frost yet. Such an alien creature. But it does look like a red, inverted christmas tree, so yeah, good for a card. Er, not inverted, but a variation, sorta. RR, that's good to hear. Gardens without bright colours can be beautiful in a serene way, but those with these sorts of colours seem cheerier. Zhoen, I hadn't noticed the shape until you pointed it out. Too distracted by the colour, I suppose.